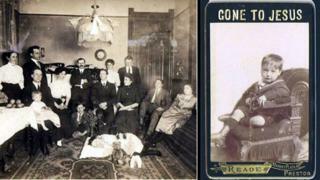 Photographs of loved ones taken after they died may seem morbid to modern sensibilities. But in Victorian England, they became a way of commemorating the dead and blunting the sharpness of grief. 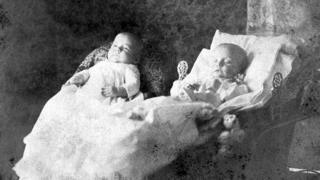 In images that are both unsettling and strangely poignant, families pose with the dead, infants appear asleep, and consumptive young ladies elegantly recline, the disease not only taking their life but increasing their beauty. 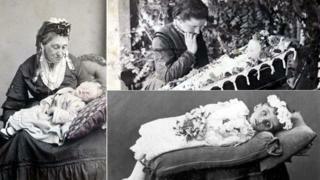 Victorian life was suffused with death. Epidemics such as diphtheria, typhus and cholera scarred the country, and from 1861 the bereaved Queen made mourning fashionable. Trinkets of memento mori – literally meaning “remember you must die” – took several forms, and existed long before Victorian times. Locks of hair cut from the dead were arranged and worn in lockets and rings, death masks were created in wax, and the images and symbols of death appeared in paintings and sculptures. 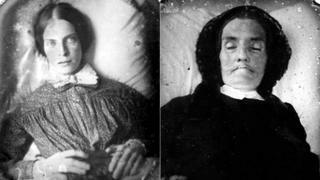 But in the mid-1800s photography was becoming increasingly popular and affordable – leading to memento mori photographic portraiture. 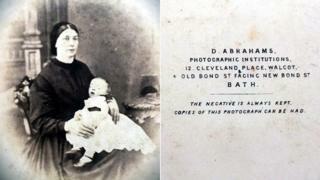 The first successful form of photography, the daguerreotype – a small, highly detailed picture on polished silver – was an expensive luxury, but not nearly as costly as having a portrait painted, which previously had been the only way of permanently preserving someone’s image. As the number of photographers increased, the cost of daguerreotypes fell. Less costly procedures were introduced in the 1850s, such as using thin metal, glass or paper rather than silver. 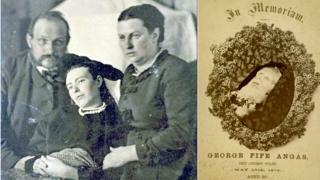 Death portraiture became increasingly popular. 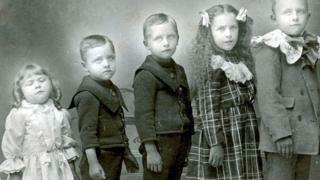 Victorian nurseries were plagued by measles, diphtheria, scarlet fever, rubella – all of which could be fatal. 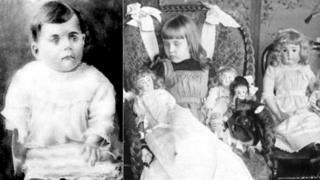 It was often the first time families thought of having a photograph taken – it was the last chance to have a permanent likeness of a beloved child. 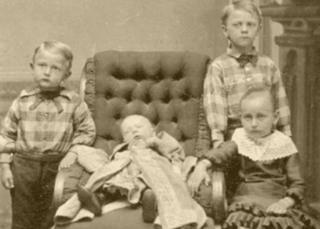 But as healthcare improved the life expectancy of children, the demand for death photography diminished. 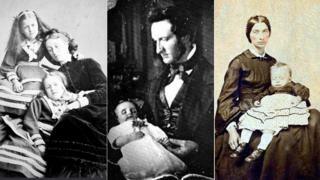 The advent of snapshots sounded the death knell for the art – as most families would have photographs taken in life. Now, these images of men, women and children stoically containing their grief in order to preserve the likeness of a taken-too-soon loved one, continue to live up to their name. Memento mori: remember, you must die.